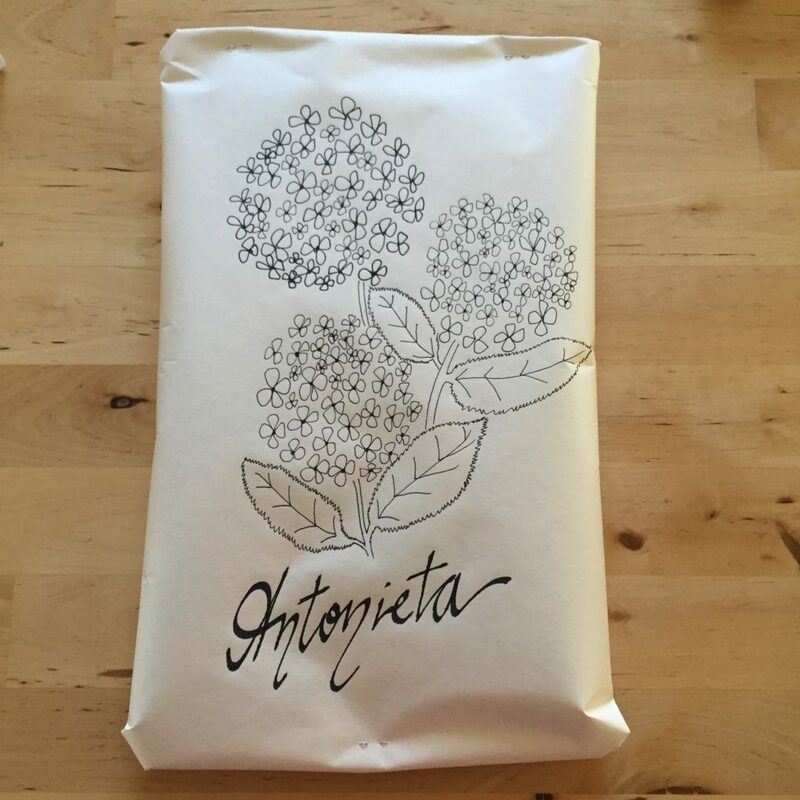 For this DIY gift-wrapping paper, you just need some markers -I use microns from Sakura and a calligraphy pen- and plain paper. I had to prepare two very special gifts so for the first one, I chose a Beatles song lyric. 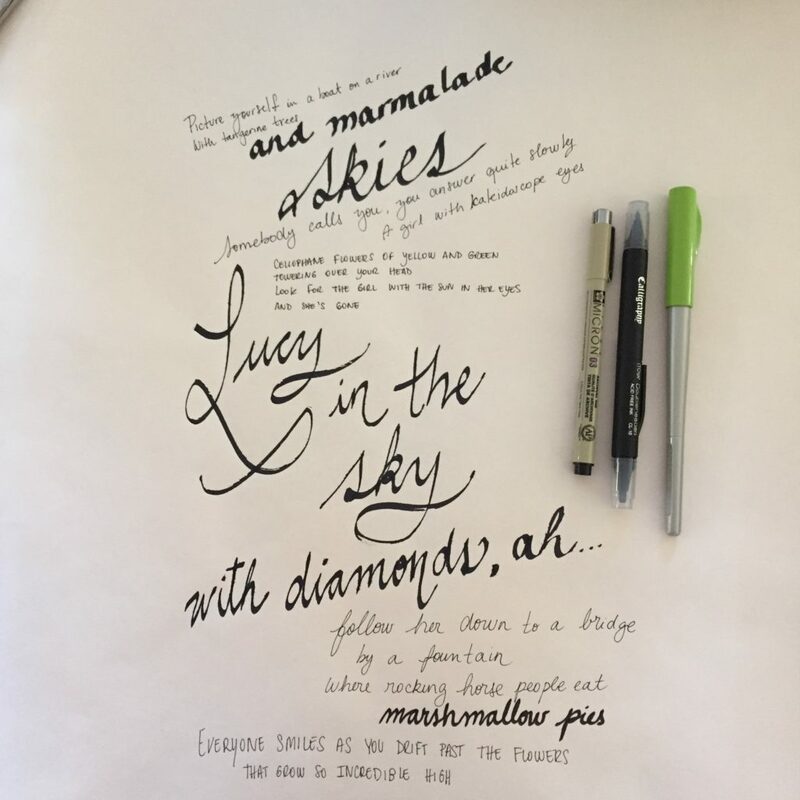 I started writing a phrase in the center of the paper and after that, I completed the empty spaces using different hand-styles and sizes of the lettering. Then, I just used it as a regular gift-wrapping paper. Another option that I like to create a special paper from a plain white paper is to draw botanicals on it. Finally, I added the name of the person who was going to receive the gift using a calligraphy pen. 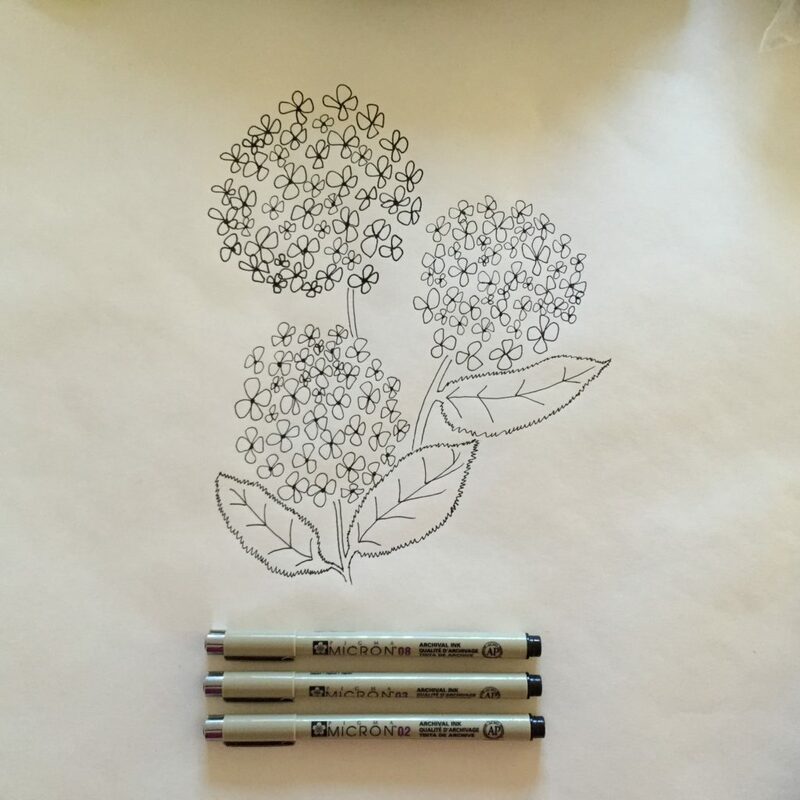 Hydrangeas are one of my favorite flowers. Calligraphy pens and markers are always a good idea. They add a special touch to your everyday lettering even when you don’t know much about calligraphy. I encourage you to try it! 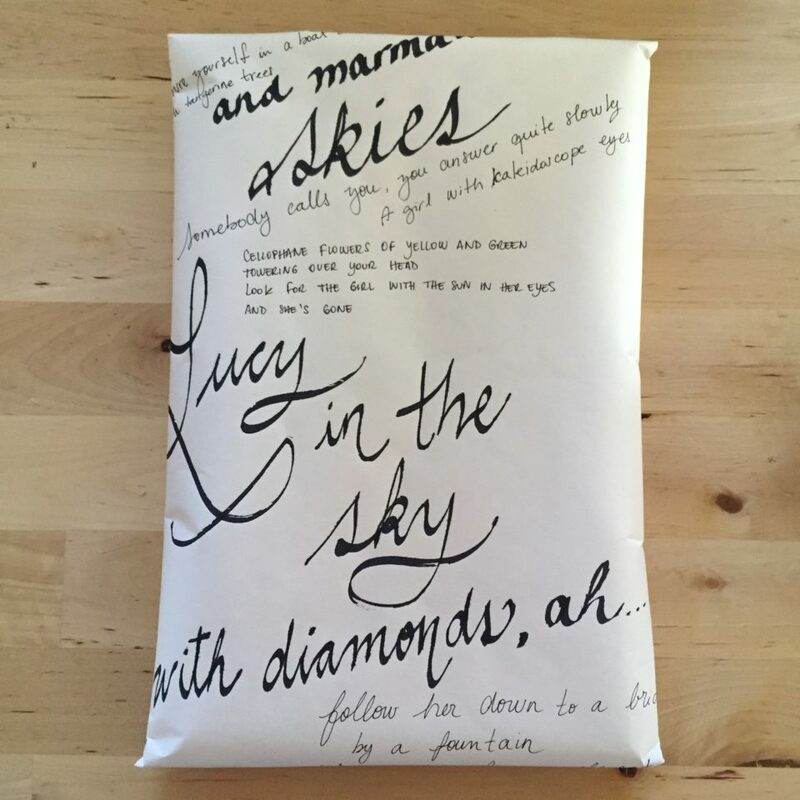 Here’s another DIY gift wrapping paper idea.